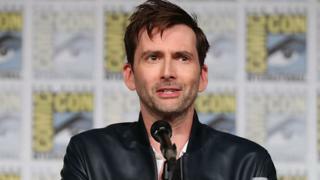 Actor David Tennant has accepted substantial undisclosed damages from the publishers of the now defunct News of the World over a phone-hacking claim. He was among six individuals who settled claims on Tuesday, including Olympic medallist Colin Jackson. Other people who settled claims were actress Sophia Myles, party planner Fran Cutler, fashion designer Jess Morris and footballer David James’s ex-wife, Tanya Frayne. Civil claims against NGN have been moving through the courts since 2012 and have resulted in four aborted trials, costing the company millions in legal fees. Earlier this month four other TV stars settled claims with the publisher of The Sun and the News of the World. Coronation Street actor Jimmi Harkishin, TV presenter Kate Thornton, comedian Vic Reeves – whose real name Jim Moir – and former Spice Girls manager Chris Herbert, all received damages on 18 January.